"I purchased ladybug squeezies for all of my students and I totally love them - each student named their ladybug and the names run from Bob to Piano Bug. BUT....my lack of imagination stops by having them put their hands over the ladybug and squeeze and the hand formation is totally perfect. Then they try to release the ladybug without moving their fingers and can't accomplish that feat. Can you help please?" 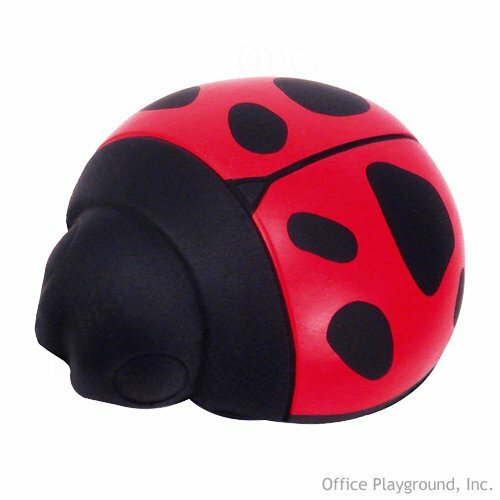 First, we're talking about these ladybug squeeze toys. Take a ladybug and help them place it carefully one under that hand. Line up the arch of their hands with the highest part of the ladybug. Make sure their thumb is going around the mouth of the ladybug, not on top with their other fingers. Their thumb should be in the same position it would be if they were playing - on its side. Notice the difference in how the hand feels when it's flat and when it's supported by the Ladybug. Ask them to gently squeeze the ladybug in the this position a few times. Just enough to get the feeling of support under their hand. That's enough for one lesson. Send them home with a ladybug to put on their home piano. Ask them to practice squeezing it ten times each day with each hand before they practice. Put a ladybug carefully under each hand. Gently alternate squeezing the ladybugs. Remove one ladybug and see if they can maintain the same position in the hand without the ladybug support. Switch hands and try it again. Usually one hand will be better at this. 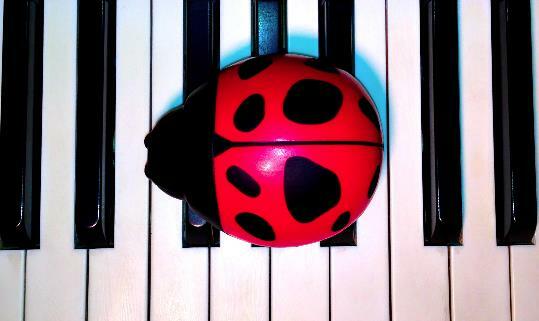 Experiment with playing keys with the ladybug keeping the hand in the correct position. Play groups (clusters) of both black and white keys. I'm sure that you will each come up with your own interesting ways to use Ladybugs. These are just a few that I've tried with great success. The most important thing the Ladybug teaches is what a supported, strong hand feels like. With persistence and motivation, this hand position can be internalized. I put ladybug stickers at the beginning of the piece to remind students to check for "Ladybug Hand" before they start. If there's a place in the piece where they need a reminder, I'll put another sticker there. Let me know what ways you've found to use Ladybugs and I'll add them to the list! "Diane, I just wanted to thank you for your wonderful and creative teaching ideas and suggestions. LOVE the ladybug idea; I ordered a supply and have been giving them to both new and continuing students at all levels - amazing results! All I have to say is 'ladybug hand' and they get it!"